Discussion in 'Pictures & Photography' started by Dr Tweak, Sep 22, 2007. One happy guy with Chrys Z on the right, the man who put it in. And hanging out with Dr Tweak, the guy who wired it up! How much did the guy spend on the engine and install? Also, what mods on that 2jz? It's an abomination! haha Nice Supra with a 240 shell and chassis. 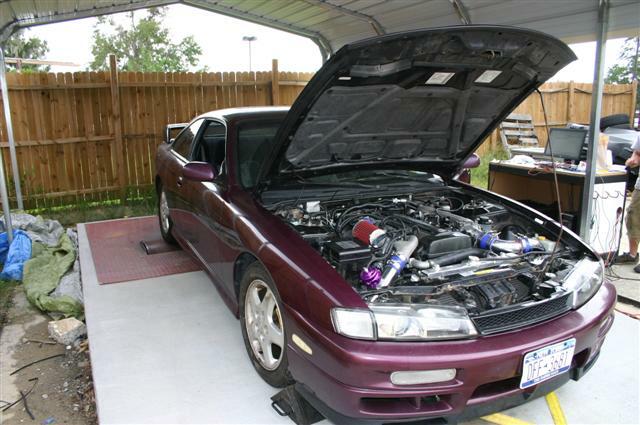 dang i want a 2.2L engine swapped in to the 8th....what's a good engine around that size? 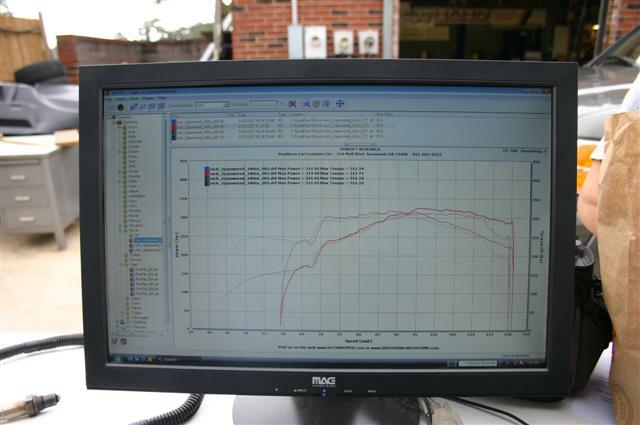 on the dyno...why is the speed in mph?? 2.2 L 20R, which I don't think is your choice. The 5S-FE is in the 3rd and 4th generation Camry and the 5th and 6th generation Celica. They are have iron blocks, are very heavy, and are underpowered. The lighter aluminum 1ZZ-FE with 125-130 hp is much better. Beans 3SGE bored/stroked to 2.2L.. yes I said beans. interesting. i can just swap in a 3sgte into my rolla for a fraction of the cost to turbo it (1zz) and have about the same power.. does anyone know if there are upgraded engine parts for this engine? You know it's been done already, right? (ELP 3SGTE 8th gen Corolla) The car weight is very unbalanced. You wouldn't be able to handle very well due to the front weight. Going in straight lines will be wicked fast though. You'll be able to score big on quarter mile times, but as for autocross, touge, or even canyon driving, it's toast. I guarantee you'll have mad understeer. Isn't the WRC Corolla's engine a 3S-GTE? But it was 4WD. I've seen an ae101 equip with a 3S-GTE in an autocross event and it did pretty well. A good suspension setup would fix understeer problems. Yes, but as you mentioned, it's AWD! that is a huge difference. It also has an LSD. 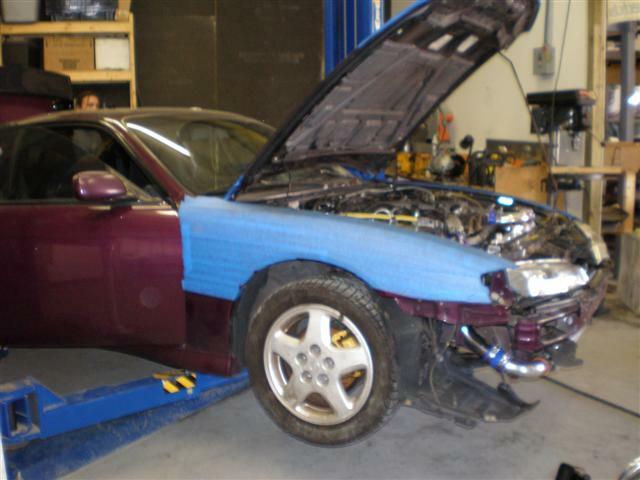 The car was engineered and tuned to utilize the motor and it's weight. I'm sure a 3SGTE swap into an econobox Corolla wouldn't have all that tuning put into it to neutralize the understeer and unbalanced weight ratio. sick...i thought abut a 1j in the s13 but who knows! 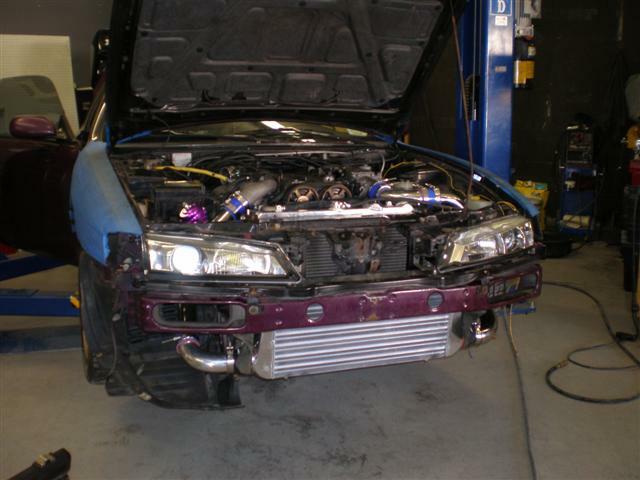 interesting swap.. 2jz must have been cheaper than the sr20 route. scion tc has a 2az? 2.4L I think.. and honda makes some decent 2.0's.. but you wont find very many good toyota engines with 2.2 displacement stock. I'm not crazy about the 2AZ (tC/xB engine). 150whp with 2.4L? That's pathetic. I still love the new xB, tho. Think about it this way: Honda's K20a2 (or whatever the RSX motor is) is 2.0L and makes 198 WHP. That's almost 20% less displacement and makes roughly 30% more HP. Do the numbers lie on which is more efficient? The 2AZ is a camry motor. The motor was not designed for a sports car. It's strictly for economy. Hence the reason I will never buy a camry or a tC. It's underpowered and huge. You're better off with the smaller 1.8 L 2ZZGE making 180 hp. That's the reason why I made that post (which was referring back to the boosted motor comment). It's just not efficient enough for the displacement. Just showing what can be done with a little more work to the motor from the factory. Stock, the car is faster than previous Civic Si's and only a few tenths slower than the new 07 Si. With only a full exhaust, I ran 15.1-15.2 in the 1/4 mile. What does it run in the 1/4 though? And how much tQ does that motor pump out again.....like 120 at the crank...LOL. The 2az pumps more than that at the wheels. Are you serious? 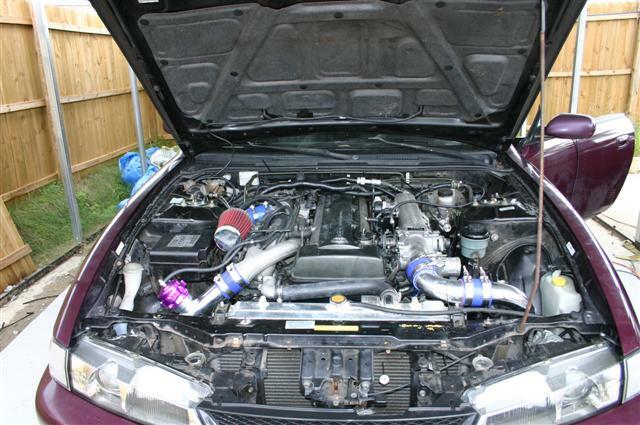 When was the last time you saw a 1.8L 2ZZGE walking away from a 350z, S2k, Evo 9 MR, STI, 240sx with RB20/SR20 swaps? Cause I've done all of them with my "camry" motor....lol. You can't just look at the factory HP. You have to look at the "Potential" of the motor too. And the 2az has way more potential than a 1.8L 2ZZGE. The Displacement is where the 2az shines. That's why it's a Boost HOG. By the way, the tC 2az is tweaked differently than the Camry 2az. Stock block, the 2az will pump down 300+whp with about 310-320wtq on 10-11lbs of boost, and will hold between 350-400whp on a stock motor. 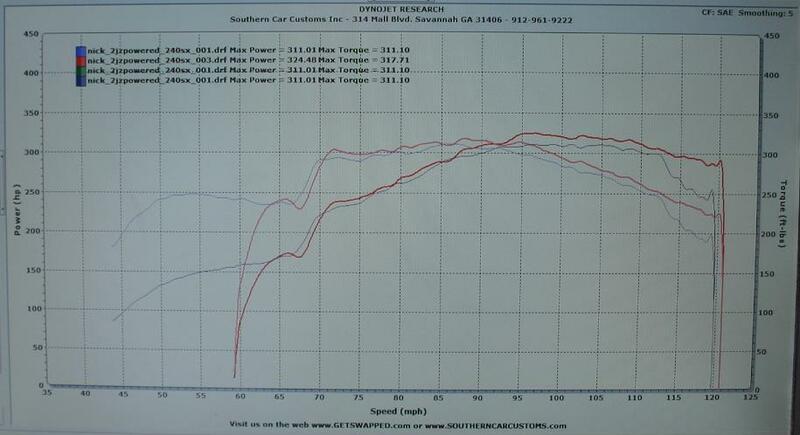 Your tQ being higher than your HP, I'd say it was pretty efficient enough for the displacement. Somehow, I don't believe it can run low 15's with a full exhaust. I have to see some slips. Naturally aspirated-wise, it's weak. Not all people want to go with forced induction for power. If you want to get real technical on it, the cars "BEST" pass with only a full exhaust as a power adder, then that would be that of 14.8 in the 1/4. 15.1 and 15.2 was the average times though. Ran High 9's in the 1/8th mile, and low 15's in the 1/4 with a best of 14.8. I don't claim the 14.8 cause it's a "one-hit wonder", and I don't believe in "one-hit wonder" times. I think you have drastically underestimated the tC and it's ok, as I don't think you have done to much research into it. But yes, the car is rated at 15.1-15.2 with a good driver. With a semi-good driver, then you are likely to see mid 15's (15.4/15.5). ALL stock that is. That is on par with say....GSR integras. By the way, I always record my races on vid. I have vids of just about every race our tC has been in, including when it was N/A'ed, so I can post that up for you if you wish. All people with a Scion tC's pretty much go with F/I (if they can afford it). You have to play off an engines strong points, and not generalize and makes statements like "Naturally aspirated-wise, it's weak". It has 9:5.1 compression pistons in it man....lol. You don't try to make a N/A'ed street killer out of a 9:5.1 pistoned motor. You mentioned the 180hp 2zz right? What is the compression ratio in that motor? Higher than a 2az, so naturally it would respond to N/A mods pretty good compared to the tC. tC loves boost. But how many Boosted 2zz's you see pushing big numbers on low boost, and running low 13's high 12's in the 1/4? Decently low compression combined with 2.4L of displacement Equals hella power when it's boosted. I think I understand you more now though. You are a N/A'ed bias person. But you shouldn't try to discredit the 2az based on your favoritism toward N/A. AMEN brother...AMEN.. That is what caused me to walk on the 07 Evo 9 MR. The Top End pull. PS....I meant 9:6.1 not 9:5.1 compression for the 2az I always mistake it by 1 number..lol. No, your right. I guess I am biased without really realizing it myself. The tC would be a great motor to turbo because of the displacement and typically low compression pistons, so you're right. I'm just skeptical since it is a Camry motor that's in thousands of other economy cars. It would be interesting to see something unique as a N/A high compression Scion tC. The Beams motor can do it at 2 liters. I'm guessing the 2.4 can do it as well and maybe even better if it's tuned right taking the extra displacement as an advantage. It just seems that everyone who wants a fast car will turbo immediately. It's too common now. I think I just like to be different. It's too common now. I think I just like to be SLOW. the toyota heads we have available to us just dont flow enough to build a competitive NA engine. ~200hp is pretty much all you can hope for at the wheels out of any toyota 4 cylinder in NA trim. turbocharging is just getting easier and cheaper, and is far more efiicient at producing power.